A remarkable, intensely-painted picture of poverty, degradation, and hunger, told with surprising humor at a conversational remove from literary artifice (which is its own kind of artifice, of course). 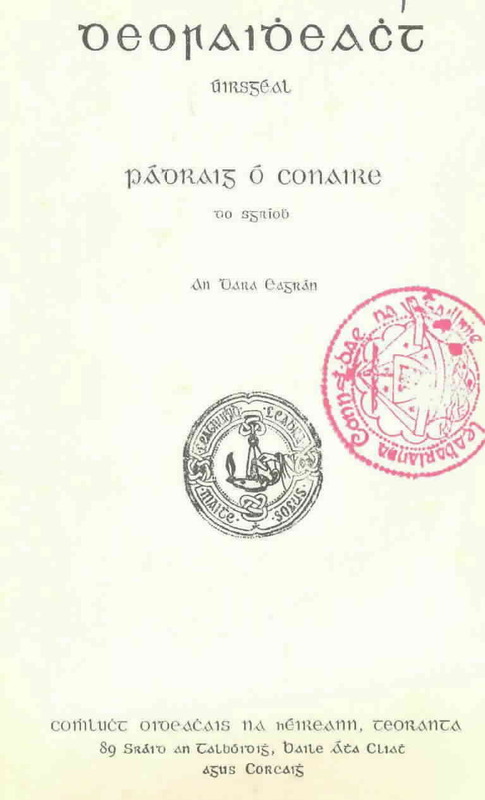 The first-person narrator could easily be taken as a synecdoche for Ireland itself over the past several centuries (it was published in 1910), particularly in relation to the bigger, richer island to the east: mutilated, castaway, humiliated, and enraged, he longs both to take his revenge and to be left in peace, but the floating carnival of life carries him with it regardless. Called the first modernist novel written in Irish, it's rather more in the spirit of Yeats than of Joyce: unmediated passions, striking images, and (unspoken) social criticism dominate it far more than Jesuitical analysis, Freudian self-absorption, and language play. Then again, I could only read a translation: maybe the original language is a wonder too. The translation tends to be rather baldly declarative, which turned out to be fine once I slipped into the rhythm: even at its grimmest, there's still the hint of a wink, a master story-teller letting you know he's got it all under control.